Dr. Logan Harre received his doctorate from Palmer College of Chiropractic where he graduated with honors. Before studying at Palmer, Dr. Logan attended the University of Nebraska- Lincoln where he earned a B.S. in Human Sciences. He received his high school diploma from Bellevue East in 2008. During his time at Palmer, Dr. Logan was selected to be a Rehab and Sports Injury Department Intern where he provided supportive care to the faculty physicians. Duties included chiropractic care, functional training, preventative and therapeutic exercise, and instrument assisted soft tissue mobilization. In addition to his training within the Palmer Clinics, Dr. Logan attended numerous seminars to develop his clinical skills. These seminars include soft tissue treatment and training in the Graston Technique, The McKenzie Method of Mechanical Diagnosis, Cox Flexion-Distraction Technique, and Functional Rehabilitation. The combination of his education and training allows him to have a unique and integrated approach to his care that is both effective and empowering to the patient. Dr. Logan is married to Dr. Brooke Harre whom he met in high school. They are excited to serve the community that they grew up in together. 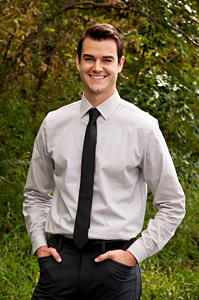 Dr. Logan enjoys spending time with his family, golfing, reading, and is also a sports enthusiast.